clean, safe waterDo you know even if a glass of water looks clean to your naked eye, it can still contain harmful impurities that threatens your health? that is free from everyday toxins, contaminants and pathogens. Just as you are, we want our parents to age gracefully and children to grow up happily all in the pink of health! You will rethink what you know. But fret not. EcoSphere Water Purifier is here to change the game. It eliminates and purifies away all these dangers in your tap water to ensure clean, safe drinking water to protect you and your family's well-being. A healthier home awaits you! Seamless installation to your kitchen table top and sink design with no extra modifications needed! Clean and minimalist tubing design built with superior quality materials that fits your existing kitchen. 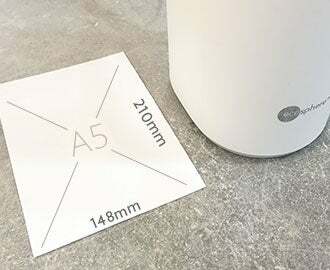 Sleek, space-saving device that sits on a compact area even smaller than the size of an A5 paper! Premium electronic faucet diverter that is easy to understand and powered with LED indicators! 4 breakthroughs in 1 innovation. With breakthrough innovations, EcoSphere Water Purifier is powered by an intelligent 4-stage ultra purification technology that reduces up to 99.9999%¹ of bacteria and filters out harmful impurities from your tap water. Style that packs a punch. Each 3in1 cartridge purifies up to 5200L of water, letting you enjoy 10,400 bottles (500ml) of clean, safe water! 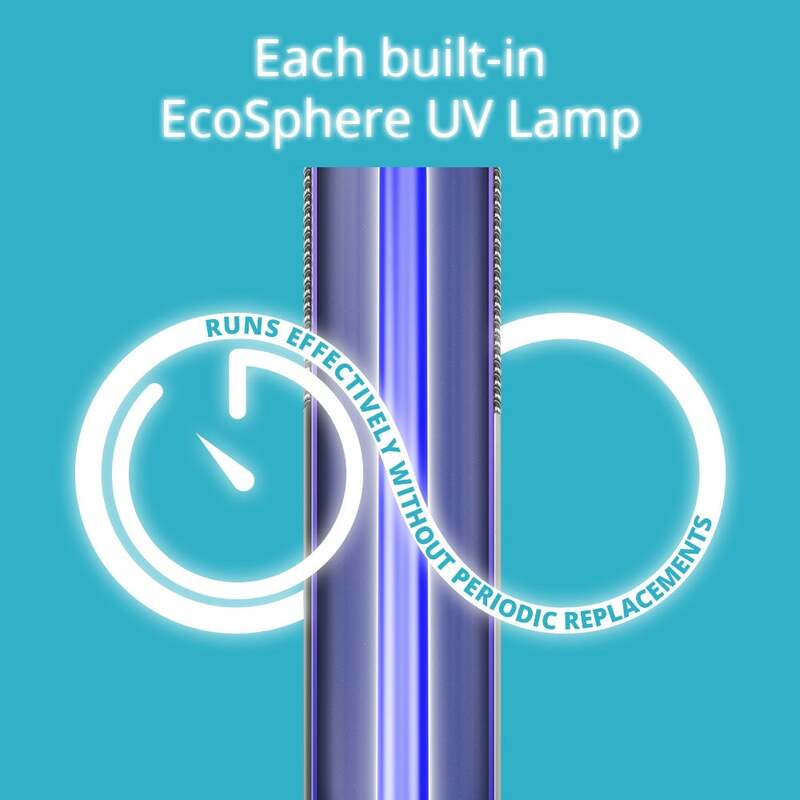 UV lamp is built into the device and designed to run effectively without requiring any periodic replacement. "Our i4 Ultra Purification Technology is representative of our commitment to superior water purification. It consists of an intelligent 4-stage ultra purification technology that supports overall wellness and helps you avoid health risks by effectively eliminating 99.9999-percent1 of bacteria." Twist and click, press and turn! Order, unbox and replace yourself! You are just a click away from drinking healthy! With well-thought design, innovative technology, efficient performance and easy convenience, ECOSPHERE WATER PURIFIER is a 'real winner' amongst home water filtration devices. Purifying away the dangers of water contamination, you can now ensure the cleanliness and safety of drinking water for you and your family with a peace of mind. Tap into the power of the EcoSphere Water Purifier. Drink healthy with clean, safe water!